President O’Day, I’m glad to meet you. I am Dr. Clyde Hall. I have known your predecessor, President Marjorie Hass, who came here in 2009, as well as her predecessor, President Oscar C. Page, who came to Austin College in 1994. I also knew his predecessor, President Harry E. Smith, who arrived in 1978, and I knew his predecessor, President John D. Moseley, who arrived in 1953. I knew Dr. Moseley’s predecessor, President W.B. Guerrant, who joined the faculty in 1938 and assumed the presidency in 1944. I studied under him and also knew his sons, who were my age. I knew President Guerrant’s predecessor, President Everett B. Tucker, who served as president from 1931 to 1943. I did not study under him but knew him well and occupied a pew immediately behind where he and his wife sat each Sunday at First Presbyterian Church. I was quite familiar with President Tucker’s predecessor, President Thomas Clyce, who came to the College in 1900. After he retired in 1931 and held the title of president emeritus and professor emeritus, I took one course under him. At his death, it was determined that someone should stand watch at his casket at the church, and I was privileged to do that. And, President O’Day, I’m sorry but my personal history cannot go back before 1900. Dr. Clyde Hall’s connection to eight of the 16 Austin College presidents is extraordinary. Add in the “rest of the story,” and it is quite remarkable. Clyde grew up in Sherman and planned for his Austin College education most of his life. He was 2 years old when his father, a landscape architect, was selected to plan the campus beautification for the College’s 1924 Diamond Jubilee celebration. Clyde’s older brother, a freshman at the College that year, found a crimson sweater to fit the younger boy and added gold “AC” letters to it. 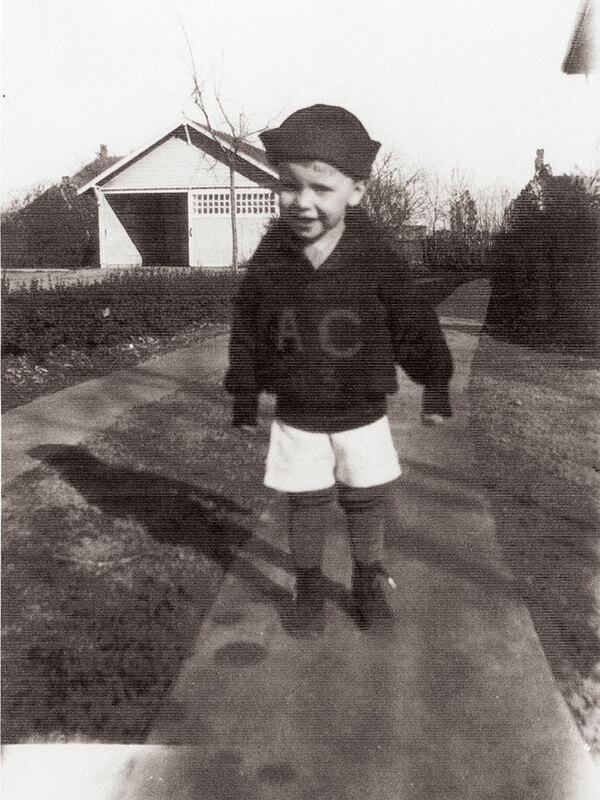 According to a Sherman Democrat photo story, the “little boy and his sweater were frequently on the campus during the Jubilee Season.” Clyde and his father also attended the December 1925 “spade turning” to mark the start of construction of the new Administration Building. However, the ground was frozen solid and no dirt would turn (and it would be many years before the building was complete). Clyde enrolled as a member of the Class of 1944 but World War II interrupted his education. What should have been the end of his college career was spent in North Africa and Italy in the U.S. Army. He returned to Sherman in late 1945 and graduated in spring 1946. He left town to earn an MBA and Ph.D., returning to Sherman in late 1949, and was invited to join the Austin College business faculty. 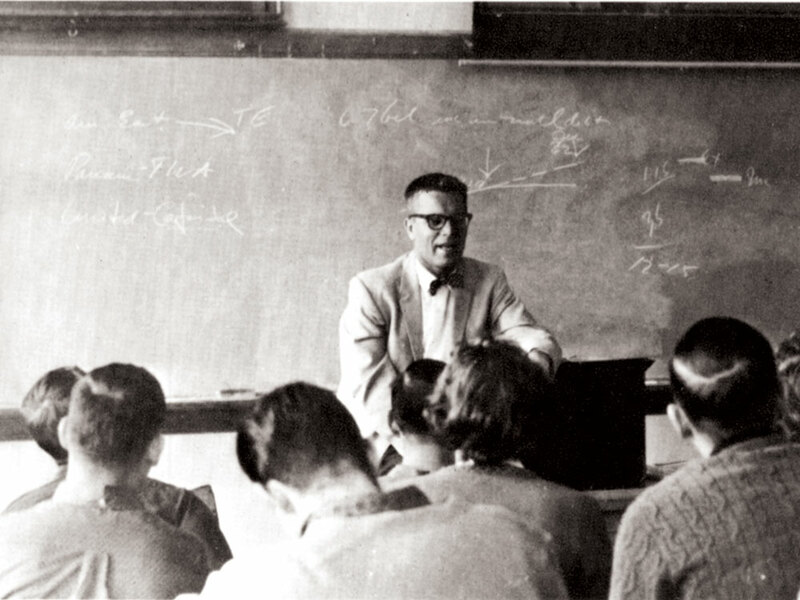 Beginning in January 1950, the Associate Professor of Economics arrived on campus each morning at 7:25 for his 8 a.m. class. He continued full-time teaching until 1988 when he retired from the classroom as professor emeritus. Thirty years later, he remains an active member of the College community. 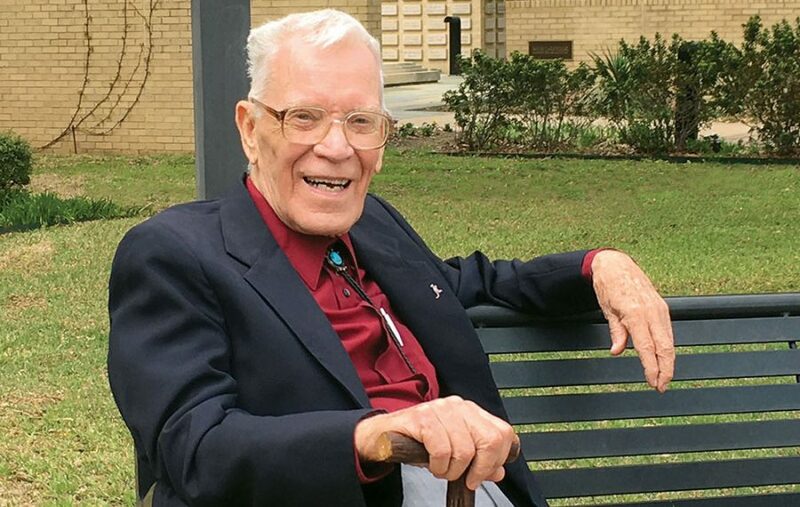 That nearly his entire 97 years have had Austin College ties is exceptional in itself. Dr. Hall also has received nearly every award granted by Austin College, not to mention several from external sources. 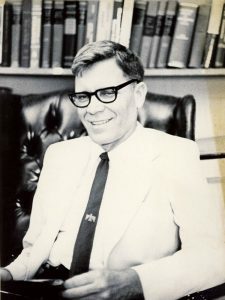 Alumni named a computer lab in Abell Library to honor him, and he was awarded an Austin College honorary Doctor of Humane Letters degree during the 2015 Commencement exercises. His name remains connected to Commencement since the ceremony is held each May on The Clyde L. Hall Graduation Court. In 2007, alumni raised the funds to create and name the outdoor landscaped area in tribute to him. That his name lives on in Austin College history is surely a source of pride; that his students created that place in history is a priceless honor to him. Dr. Clyde Hall himself is a gift to the Austin College community—a legend indeed. He and his wife, Virginia, who passed away in 2015, had four children, two of whom—Chris and Margaret —are Austin College graduates so the family name continues on the rolls.